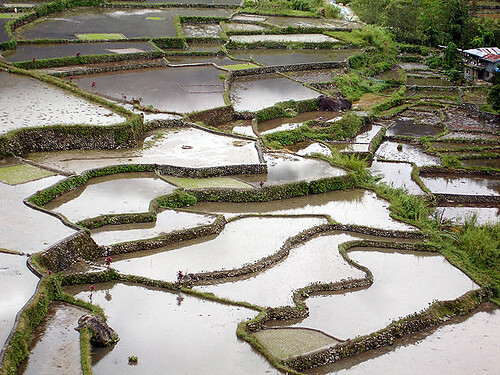 Bacung Terraces – Known as the spider web terraces, it is about a kilometer from Hungduan proper. 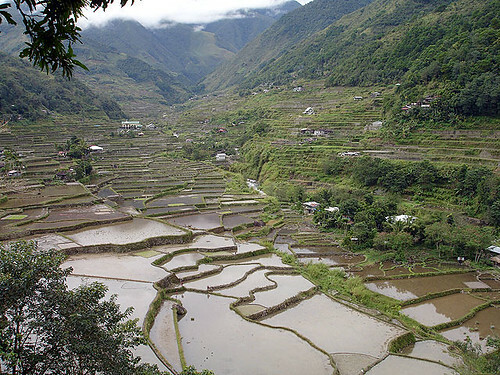 Hapao and Baang Terraces – Just above Hapao village, the three valleys of extensive stone-walled terraces carved into mountainsides are a sight to behold. 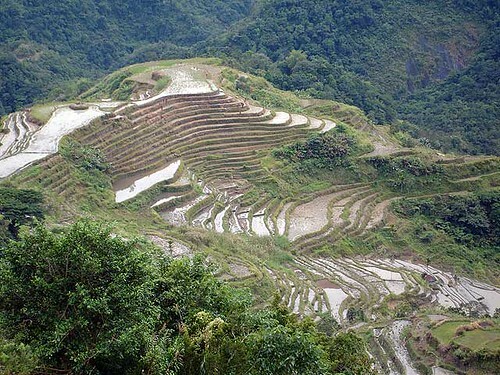 Kinga Rice Terraces – Comparable to the rice terraces of Batad, it has fabulous amphitheater-like stonewalled terraces about 5 kilometers from the town proper. 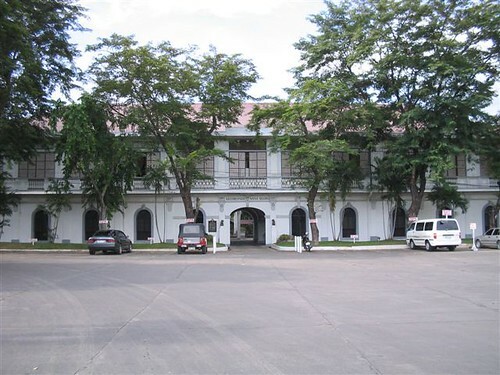 The only surviving 18th Century archbishop’s residence in the country, the palace served as headquarters of Gen. Emilio Aguinaldo in 1898 and the invading American forces under Col. James Parker in 1899. 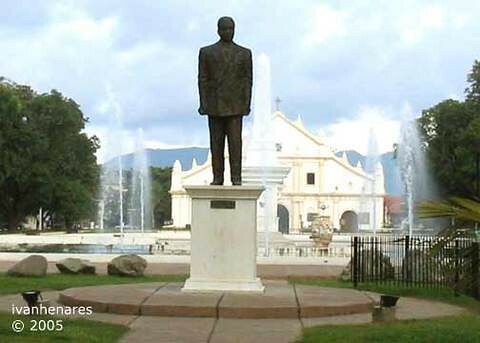 Its Museo Nueva Segovia showcases antique portraits of bishops, a throne room, archdiocesan archives, and other ecclesiastical artifacts gathered from various colonial churches all over Ilocos Sur. 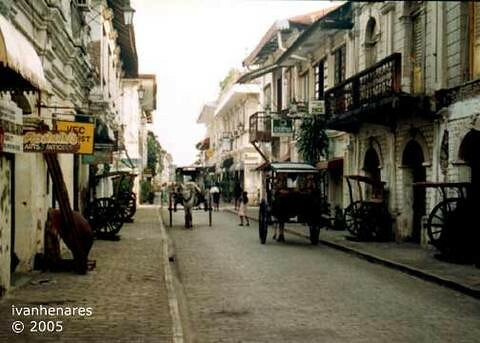 Concealed behind the walled city of Intramuros, built by the Spaniards in 1570, is the church of San Agustin. 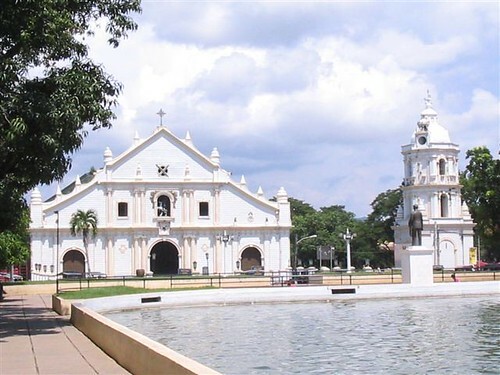 This church is a significant monument to the Spanish colonization of the Philippines, being the first religious structure built in the island of Luzon, after the Spanish relocated from Cebu in the south. Sedate and direct to the point, the facade follows the style of High Renaissance. The symmetrical composition is prefixed by pairs of Tuscan columns that flank the main door of the two-tiered facade. The vertical movement of the paired columns is adapted at the second level by equally paired Corinthian columns. At the second level, mass and void alternate in a simple rhythm of solid walls and windows. The two levels, emphasized by horizontal cornices, are then capped by a pediment that is accentuated with a simple rose window. The facade’s hard composition is held together by two towers; unfortunately, the missing left belfry further exaggerates the lackluster facade. 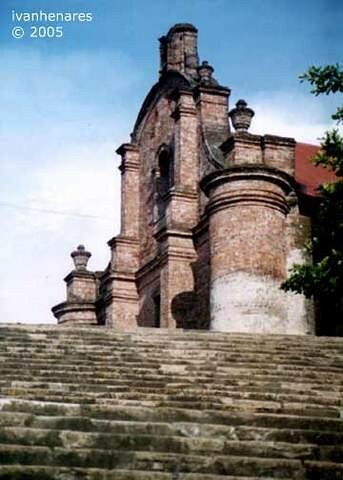 It was taken down after a destructive earthquake hit the church in 1863 and 1880, splitting the tower in two. 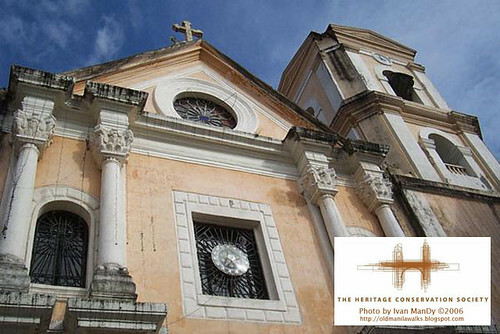 The facade has a touch of Baroque by the ornately carved wooden doors that depict floras and religious images. Baroque is also evident in the carved niches that quietly reside between the paired lower columns. 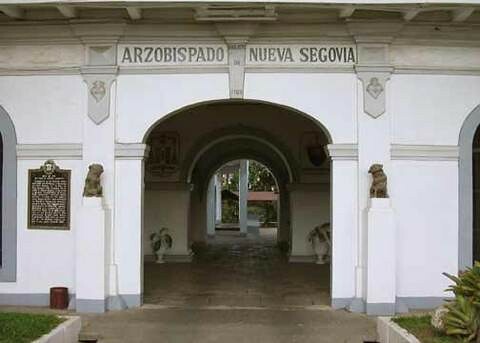 The church is bequeathed with Chinese elements in the form of fu dogs that emphatically guard the courtyard entrances. 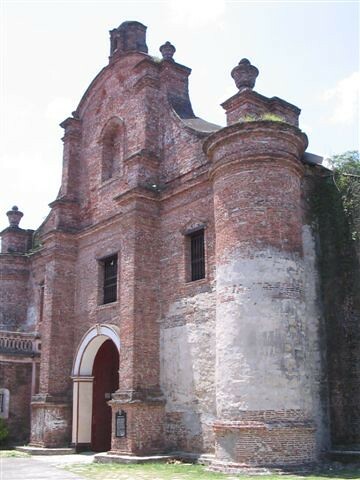 Alicia Coseteng, in Spanish Churches of the Philippines, describes the church as having “an inverted vaulting foundation, which reacts to seismic effects in much the same manner as the hull of a ship resists the waves.” Although this is difficult to prove, this may be one of the reasons why, amidst the destructive natural calamities that are prevalent in the country, the church is still standing today. 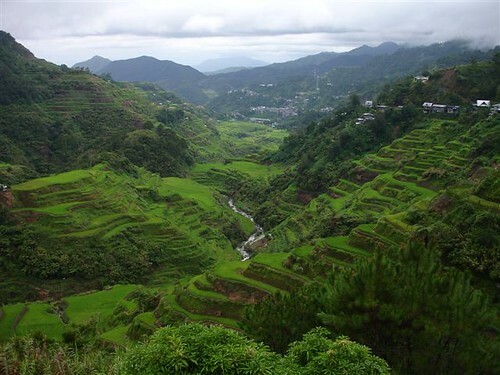 Winand Klassen, in his book Architecture in the Philippines, also notes that the church has an inverted vault-like foundation, and was the first earthquake-proof building in stone. 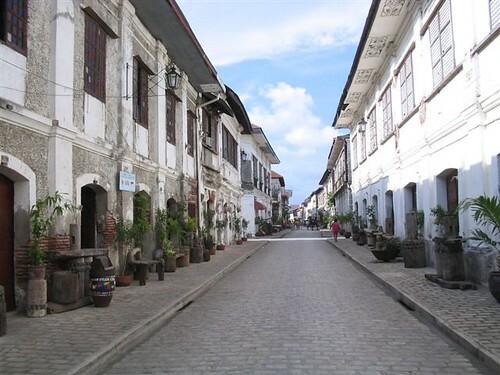 This makes San Agustin as the only surviving 16th century edifice, and the oldest church in the Philippines. Another interesting structural component of the church is the lateral bays that act as interior buttressing. This is completely different from all the colonial churches where the wall buttresses flare out at the exterior side of the church walls. 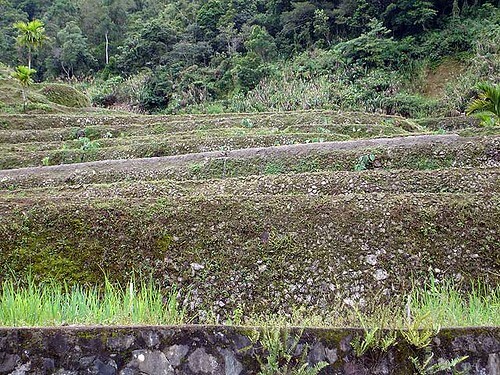 Within each compartmentalized bay is a side chapel that Coseteng refers to as cryptocollateral chapel. Seven side chapels line the entire length of each side of the nave. 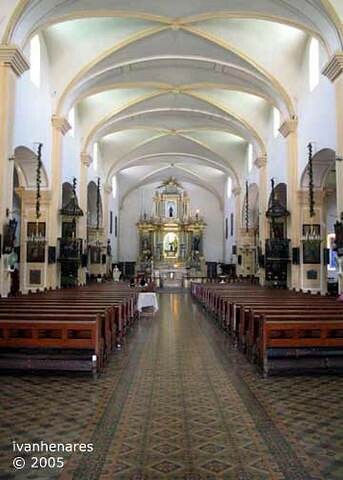 San Agustin church is also the only colonial church that has retained its original vaulting, despite the destructive forces that shelled the church during WW II. 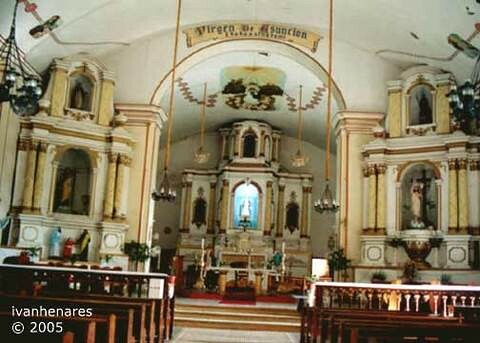 It was a fortuitous turn because San Agustin church flaunts one of the most artistically decorated interiors among all of the colonial churches in the country. The splendid trompe l’oeil barrel vault and dome magnify the skills of two Italian decorative painters, Alberoni and Dibella, who were commissioned to paint the church’s interior in 1875. With a barren, plain surface, they managed to sculpt and gave life to the ceiling with their paint brushes. Alberoni and Dibella animated every space with wonderful floral motifs, geometric patterns, classic architectural themes, coffers, and religious images. Significantly, the artists developed a language in the trompe l’oeil vaulting that synthesizes with the spatial geometry of the church. The super-imposed columns which divide each side chapel are echoed above by coffered bands that traverse across the barrel vault. Even the faux coffers are organized along the length of the ceiling to suggest depth, movement, balance, and proportion to the nave below. At the crossing, the concentric trompe l’oeil of the shallow dome is curiously crisscrossed by fluted ribs that rise from each pier and merge at the apex. The playful effect of chiaroscuro-light and shadows-and perspective, restrained only by the limited palette of a few earthly colors, is a visual spectacle. 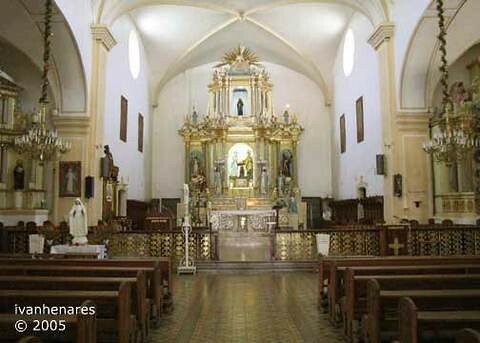 Perhaps, the grandiosity of the painting is a bit too presumptuous to some critics, but one can assume that the vitality of the interior must have roused the imaginations of Simon Flores, a local artist who later became responsible in decorating the interiors of several other churches, including the sumptuous interior of Betis church in Pampanga. 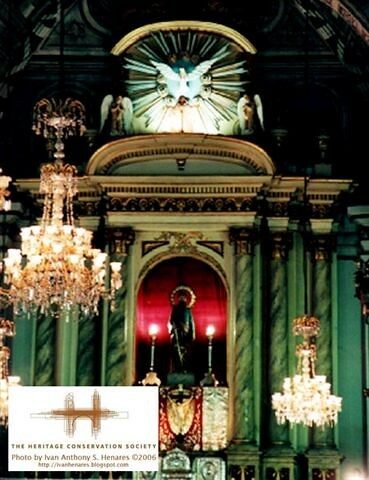 As a final stroke to the exhilarating visual experience, the church is vested with a heavily guilded pulpit, with the native flora and pineapple as decorative motifs, as well as a very ornate altar. The church is more than just an architectural icon. 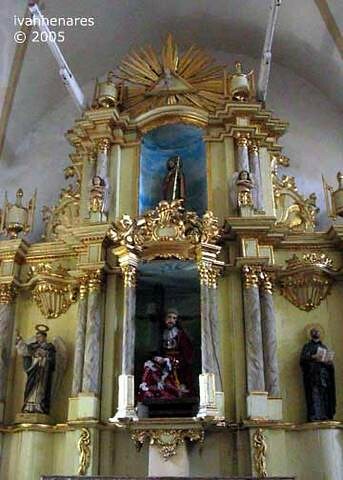 A side chapel next to the main altar is dedicated to the Spanish Miguel Lopez de Legaspi, the founder of Manila. 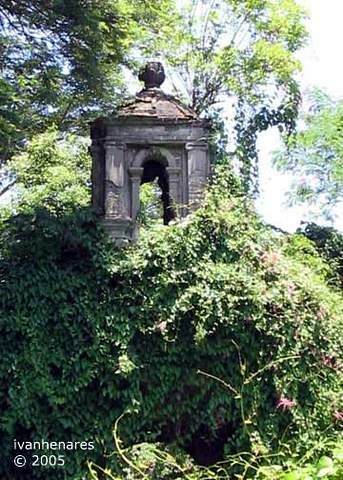 His remains were re-buried here by the Augustinians, unidentified and mixed along with others, after they were ruthlessly unearthed by the British who were searching for golden treasures in 1762. 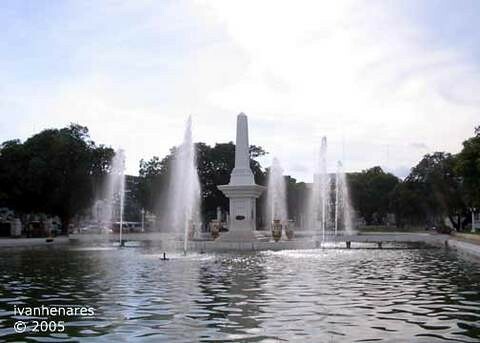 At best, today, one can only quietly contemplate the charged bygone days at the foot of Legaspi’s final resting place. 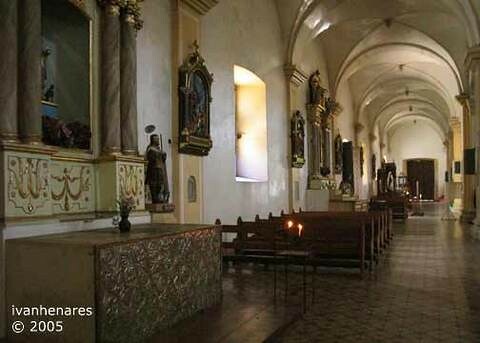 Adjacent to the church, the monastery was converted in 1973 to become a repository for religious artifacts and art treasures dating back as early as the 16th century. 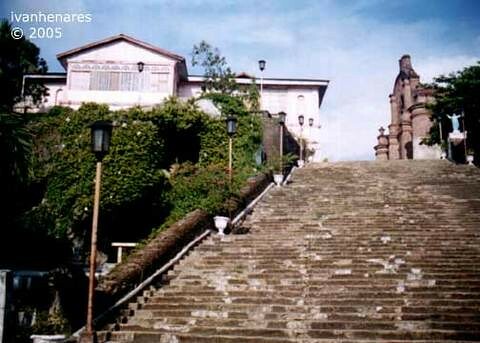 Here, one can spend an entire day to cherish and absorb the remains of a resplendent era in the country’s religious history. 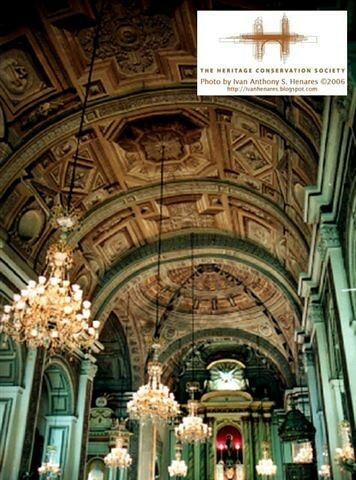 San Agustin church is, indeed, the mother of all Philippine colonial churches. 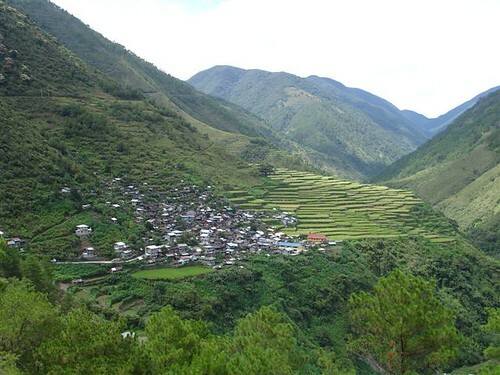 For more on Bayyo, read Up the mountain trail to Bontoc.